If you require assistance working out your watering system requirements for a property up to 1000 sq metres comprising of automatic or manual control, pop-up sprinklers for the lawns, and micro sprays for the gardens, we cap our Design service at $270.00 including GST, however alterations afterwards are charged at an hourly rate. Any Freight cost for the materials / components supply would be discussed, however we do hope to get your packed system to your door at no extra charge. 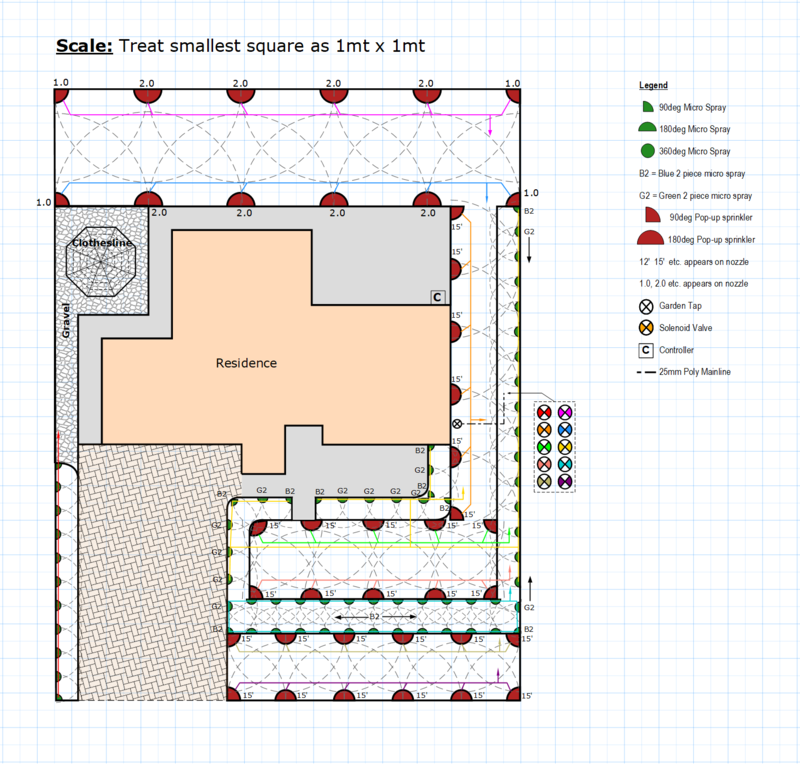 Why wander around Bunnings selecting what you hope are enough sprinklers and components when you can come to us and get a lawn or garden sprinkler layout design produced? With a design in-hand produced by our sprinkler experts, we have all the necessary gear to get your garden and lawn sprinklers up and running. So call us today on 07 3279 5600 or email [email protected] to book a Sprinkler Design. Capped Design rate available on properties up to 1,000 sq metres only. Prices quoted are for Design only. Changes made to original property plan after commencement of the design will incur extra charges, as these changes can often effect the whole design.